Vicki holds a Bachelor’s degree in Applied Managment from Grand Canyon University, as well as a Master’s in Business Administration. 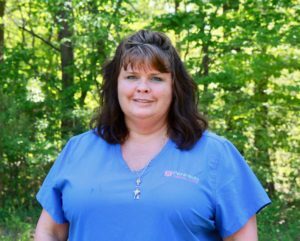 Vicki has more than 20 years of experience working as a dental assistant, scheduling and insurance roles, and an office manager. Vicki enjoys serving patients with great satisfaction. She loves when a patient completes treatment and sees changes in their self-confidence. Vicki has an 18 year old son, Ean, who will be attending college soon. Vicki enjoys being outdoors as much as possible, going to festivals, trips to the beach, and making crafts for friends and family in her spare time. 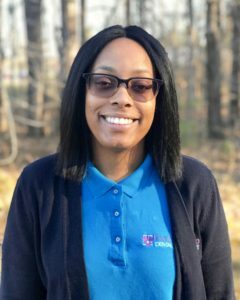 Jasmine received a Bachelor’s in Business with a concentration in Finance from Strayer University and she is currently working on a Master’s in Business with a concentration in Public Health Administration. Jasmine has always had a passion for dentistry and enjoys showing patients how much their oral health affects their overall health. She loves educating patients and helping them get the treatment they need. 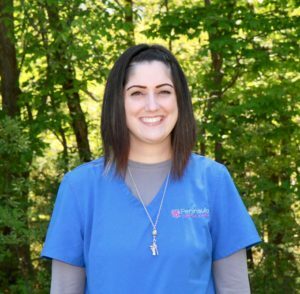 Jasmine’s dental philosophy is to work with patients’ families, and loved ones to ensure they receive the best possible care, to deliver both patient-centered and patient-driven care and have a unique relationship with patients. She has a daughter named Noelle and a kitten named Haverti. Jasmine loves to travel and vacation every year with her family, and she absolutely loves the beach! Cheryl is a lifelong Virginia Peninsula resident. She has extensive office and chair side dental experience and enjoys both immensely. Cheryl is passionate about dentistry and loves working with patients to ensure that they receive the best dental care possible! She enjoys providing patients the knowledge to understand their proposed treatment and dental insurance benefits. Cheryl and her husband Mark have two adult children, Stacy and Jeremy, a daughter-in-law, Emma, and grandchildren Reagan and Blake. When away from the office, Cheryl enjoys being a “Gigi”. Jessica completed the American Red Cross Dental Assistant Training Program at Langley, VA in 2003. She went on to become a Registered Dental Hygienist in 2014, by graduating from Old Dominion University with her Bachelor of Science degree. Jessica likes dentistry because she loves meeting new people and teaching patients how to improve their oral hygiene. Jessica enjoys educating patients on how oral health impacts the health of the whole body. Jessica lives with her husband Nicholas, daughter Taylor, and son Dylan. She comes from a large family, with 3 brothers and 2 sisters. Jessica enjoys spending her free time with her family, cooking out, and going to beaches and museums. 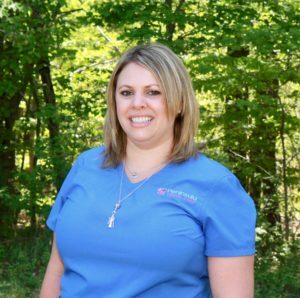 Vicki initially worked as a dental hygiene assistant from 2012-2015. She went on to become a Registered Dental Hygienist in 2017, after graduating with a B.S. in the Applied Science of Dental Hygiene from Old Dominion University. She chose dental hygiene because she has a genuine love for people and she has a heart for helping and healing others. She enjoys getting to know her patients and sharing in the joys of their lives. Vicki believes in providing quality care and value working with honesty and integrity. Each case is unique and she endeavors to care for each individual as if they were a loved one. Vicki married her high school sweet heart in 2015 and they have a young son. Vicki has lived in Hampton for her entire life. She spends most of her time outside of work and home at church. She has a deep desire to serve in children’s ministry. Kim began her career as a dental assistant in 1990. She went on to earn her x-ray certification from Thomas Nelson Community College. Kim prides herself with over 25 years of dental assisting. 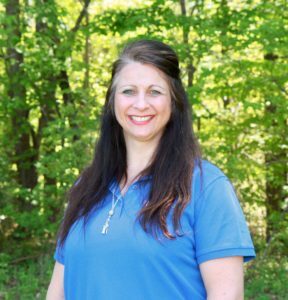 Kim considers herself a “people person” who enjoys working with each patient individually. 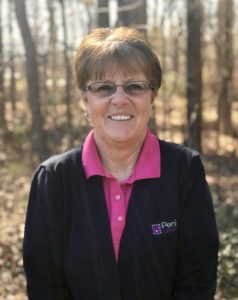 She loves educating her patients about their oral health and helping them have the tools they need to make informed decisions about their care. Kim lives with her husband Earl and their daughter McKenzie. She loves cooking and the outdoors. Kim spends her free time camping, going to the beach, gardening, and scuba diving. Ashley holds an Associates degree in Dental Science from PIMA and is CDA certified. She has 8 years of dental experience. Ashley enjoys patient care and patient education. 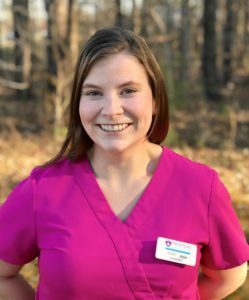 She believes that there is no better feeling than assisting patients with dental health and getting to see their smiles when they leave the office. Patients are the reason Ashley is in the dental field and strives to treat every one of them like family. Outside of work, Ashley can be seen playing videos games and enjoying art. She has been married for 9 years and has a pug, 2 cats, and a chinchilla.